For as long as I can remember, and been in business photographing families, the question we get the most is “What do we wear for our family portrait?” This a great question and one that is so important to getting a professional, WOW – looking portrait. I believe that clothing is the single thing that can make or break a great portrait and one that you will be proud to hang in your home. 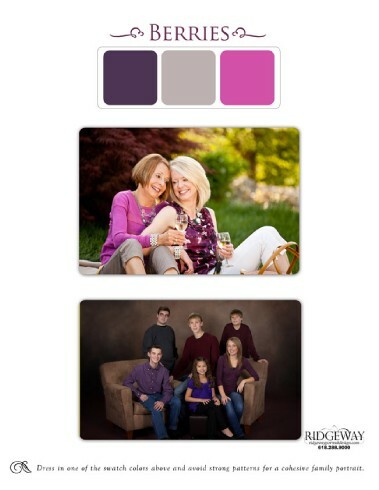 So, let’s talk about the things that you should think about when deciding the color scheme for your family portrait. First, walk around your house and choose a couple of places that you might want to hang your family pictures. Once you have an idea where, pay attention to the color scheme in that room. If you were to go shopping for a painting or piece of art for your wall, you would choose something that the colors would coordinate or look good in that room, right? Think of your portrait as décor for that room. You are going to have these portraits for a long time so you want to make sure that it can be in a room for several years. Let’s say your room is in browns, gold/tans, and accented in red, you probably don’t want to choose “blues” as your color pallet. Choosing brown, reds and tans would be a great combination for your clothing choices. I love colors on my walls (my example is based off of my own family room) and I love decorating so when I decide to choose clothing for our family portrait it’s meant to be a focal point in the room that I am putting it. I realize many people have more neutral tones on their walls so choosing a color that pops would be my recommendation. The color depends on the accent color that you use in that room. I've gone into Lowes and picked out paint swatch combinations that match or look good with the color scheme of the room that I am going to display my portraits. It helps me coordinate the color scheme that we will be wearing in the portrait. There are also, brochures in the paint section that show you multiple color combinations that look great together. Next: Once you have decided on your colors, now comes finding the clothing for the family members. You want everyone to dress to match their personalities. For a classic look, start with solid, neutral fabrics. Add a little pattern and splashes of color with the children’s outfits and accessories on the adults such as sweaters, necklaces, headband, scarves, button up shirt, tights, hats, etc. Layers & accessories add dimension, texture and fun to the overall feel of your portrait. Do not mix dark and light tops and bottoms, especially in larger groups. Mixing darks and lights creates a busy look. Keeping the entire group in darker tones or all in lighter tones simplifies and draws attention to the faces. Mixing dark and light tops and bottoms can give a feel of being cut in half. We all want to look our very best and keeping in color tone elongates our look and slenderizes. Dark clothing tends to slenderize, especially against darker backdrops. Long sleeves and dark stockings also slenderize and simplify. For a natural look, sweaters and other long-sleeved knits help you look relaxed. Layered tops add depth and dimension. Jeans are great because they allow us to sit people on the ground. For outdoor portraits, autumn colors, or jewel tones work better than pastels. We don’t recommend wearing white clothing outdoors unless on a beach or lighter environmental location. White tends to glow (or give a halo look) especially with the dark green colors of the outdoors. For a stunning formal or semi-formal portrait, start with a blend of rich, understated colors, not too “matchy”. Add a little dark-on dark pattern in accessories. Don’t be afraid to spice it up with a color splash, over-the-top fabrics, necklines and jewelry. Darker tones work well to simplify the overall look. Try this: Lay everyone’s clothing out in the room where your portrait will live. Mix it all up and leave the room for a little while. When you come back in and look at all of the clothing replace those pieces that stand out or don’t really harmonize with the rest. Don’t be afraid to add accessories or remove pieces until you achieve a fresh and exciting look for that room. Moms tend to get stressed out over family portraits. Relax and remember to let your family be as they are; individuals within your family unit. 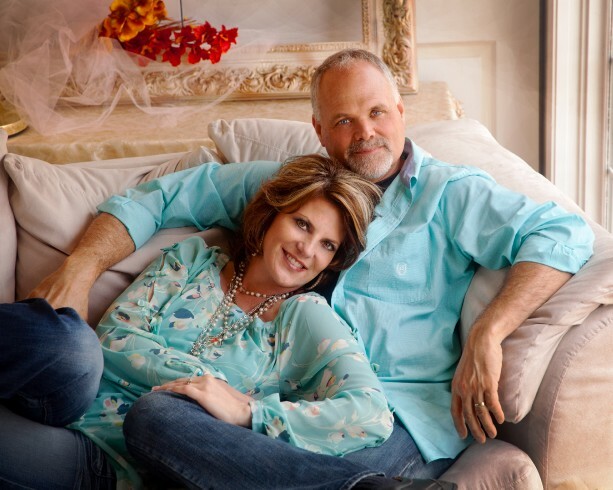 John has been photographing families for over 20 years and knows how to make everyone comfortable. We will guide you through the whole process. Treat your family portrait session as a family outing. You are only taking an hour to an hour & a half to create a treasure of your family that will hang for years and years and give your kids great memories of their childhood with their mom and dad. We live to help families look beautiful in portraits and to make you tear up when you see your family all together, as it should be.